The Chernobyl Power Plant continued operating and producing electricity until 2000, 14 years after the Chernobyl disaster. 2. Nuclear generated electricity, by far, kills fewer humans per megawatt than any other source, including solar and hydro. 3. UK has a power station (Dinorwig Power Station) whose primary function is to deal with the power demand spike caused by people switching on their kettles during TV ad breaks. The power station is built inside of a mountain. 4. Cost for solar has decreased from $101.05 per watt in 1975 to $0.447 per watt in August of 2016. The cheapest bid for unsubsidized solar is 2.42¢/kWh—cheaper per kWh than natural gas, coal, or nuclear power can provide practically anywhere in the world. 5. If you live within 50 miles of a nuclear power plant then you are exposed to an average annual dose of 0.09 millirem per year, which is the same as eating 1.64 bananas. Acting alone, an activist once single-handedly broke into the Kingsnorth Power Station in England, shut down a 500 megawatt generator, and cut off enough electricity from the grid to power a city of half a million people. Then he turned around, and left. He was never caught. 7. Paraguay has the 2nd and 25th largest hydroelectric dams in the world that provide 100% renewable and clean energy but suffers constants blackouts due to poor distribution infrastructure. 8. On Oct 28, 2013 wind power not only provided 100% of Denmark's power but at 2:00 AM Denmark wind was producing 122% of the country’s energy needs. 9. In 2009, scientists in Iceland unexpectedly drilled into a magma chamber 2.1 km below ground, creating the world's first magma-enhanced geothermal energy (Nesjavellir Geothermal Power Station) source capable of powering 80,000 homes. 10. In 1913, the first practical thermal solar 'power plant' was built in Egypt that generated power using polished steel to focus the sunlight. Unfortunately, World War 1 broke out and the power plant was abandoned due to the conflict in the area and oil became a much more attractive energy source. During the early hours of the Fukushima nuclear disaster, plant employees scavenged car batteries to power essential monitoring equipment in the plant. 12. As of 2018, the 5 largest power stations in the world are all hydroelectric power station. 13. A solar power plant in the Mojave Desert uses 5 square miles of mirrors to concentrate sunbeams on one central tower. It also incinerates about 6,000 birds a year. 14. Fly ash emitted by a coal power plant carries 100 times more radiation into the surrounding environment than a nuclear power plant producing the same amount of energy. 15. 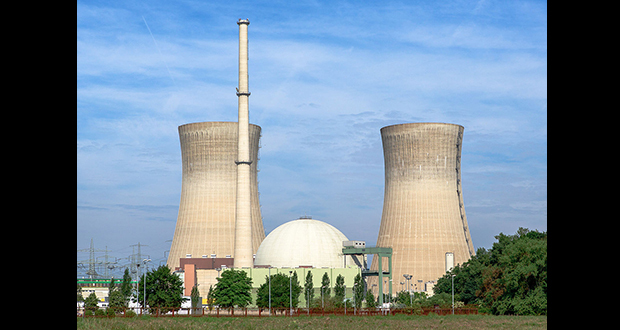 The largest Nuclear power plant (Bruce Nuclear Generating Station) in the world is in Ontario, Canada and their security force has won the U.S. National SWAT Championship 4 times. There was a second Fukushima nuclear power plant (Fukushima Daini), 10km to the south, that suffered the same crippling tsunami damage but was saved from meltdown by a capable leader and heroic staff. 17. In Norway, 99% of electricity production is from hydroelectric plants. They plan to increase annual production by 15 terawatt-hours (12%) by 2020 and could double installed capacity if they build new cross-border links to ship the surplus electricity abroad. 18. A commando unit of 12 men sabotaged a heavy water plant (Rjukan plant) in Norway in World War 2, crippling Nazi attempts at developing an atomic bomb. 19. Former dictator of Equatorial Guinea Francisco Macias Nguema banned the use of lubricants in Malabo city power plant, saying he could run it using magic. The plant exploded. 20. A coal power plant with a 40% efficiency takes an estimated 325 kg (717 lb) of coal to power a 100 W lightbulb for one year. Nuclear power plants in the US are so strong that they can be struck by a large commercial airliner and still not release harmful radiation. 22. The largest and most powerful power plant on Earth is the Three Gorges Dam in China. The controversial project which produces power for over 60 million people, caused multiple landslides, and even slowed down the Earth's rotation a fraction of a second. 23. Palo Verde Nuclear Power Plant in Arizona which is spread over 4000 square acres employs 2055 workers, generates 35% of the electricity needed in Arizona, and is the only nuclear power plant in the world that is not built next to a body of water. 24. California generates so much solar power that at times the state will pay Arizona to take it. 25. The world's first nuclear power plant (Obninsk Nuclear Power Plant), built by the USSR in 1951, wasn't decommissioned until 2002.